Expansion vessels There are 34 products. Expansion vessels with replaceable replaceable rubber EPDM bladder for closed heating systems. Vessels designed and optimized to compensate the variation of volume of water due to the variation of the temperature in heating systems. 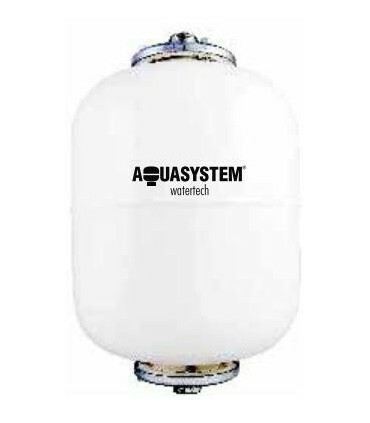 Expansion vessels contain an easily replaceable rubber EPDM bladder and they are manufactured and approved according to PED 97/23/CE directive for heating systems with hot not-drinkable water. 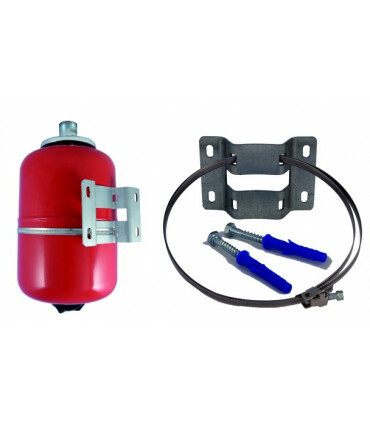 New range of multifunctional tanks with special BUTYL+ interchangeable membrane provided with stainless-steel counterflange. 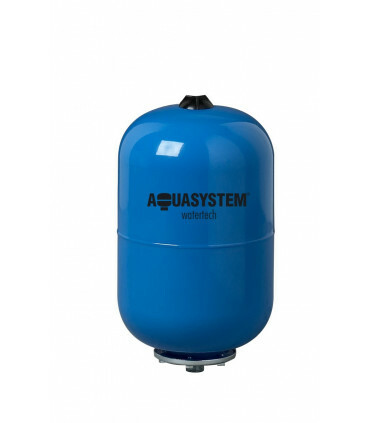 Multifunctional tank with replaceable membrane for pressurized systems of sanitary water. Extremely reliable thanks to the new patented Butyl Plus membrane composite which ensures more resistance against osmosis and thanks to the stainless-steel counter flange. Certified Wras® and ACS for potable water and compliant with the European PED directive. Range capacities: from 5 litres up to 500 litres. 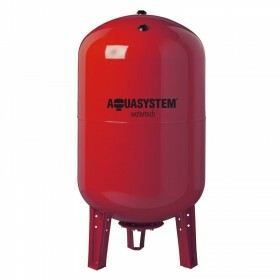 Pressure tanks with replaceable rubber EPDM bladder for pressurized systems of sanitary water. 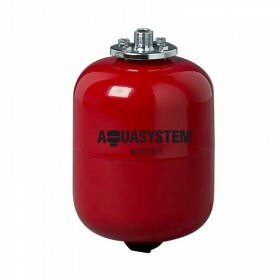 Pressure tank designed to compensate the pressure increase due to the pump start and to optimize the pump work. 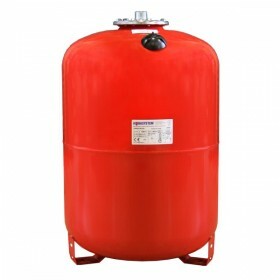 Pressure tanks contain an easily replaceable rubber EPDM bladder and they are manufactured and approved according to PED 97/23/CE directive for pressurized systems with sanitary water. Expansion vessel 8 l, 316 x 200 mm, 8 bar. With replaceable membrane for closed heating systems. Expansion vessel 12 l, 295 x 280 mm, 8 bar. With replaceable membrane for closed heating systems. Expansion vessel 18 l, 430 x 280 mm, 8 bar. With replaceable membrane for closed heating systems. Expansion vessel 24 l, 489 x 280 mm, 8 bar. With replaceable membrane for closed heating systems. Expansion vessel 35 l, 440 x 365 mm, 8 bar. With replaceable membrane for closed heating systems. Expansion vessel 35 l, 450 x 365 mm, 8 bar. With replaceable membrane for closed heating systems. Expansion vessel 50 l, 564 x 365 mm, 8 bar. With replaceable membrane for closed heating systems. Expansion vessel 80 l, 687 x 410 mm, 8 bar. With replaceable membrane for closed heating systems. Expansion vessel 100 l, 663 x 495 mm, 8 bar. With replaceable membrane for closed heating systems. Expansion vessel 150 l, 795 x 550 mm, 8 bar. With replaceable membrane for closed heating systems. Expansion vessel 200 l, 1085 x 600 mm, 8 bar. With replaceable membrane for closed heating systems. Expansion vessel 250 l, 1051 x 650 mm, 8 bar. With replaceable membrane for closed heating systems.